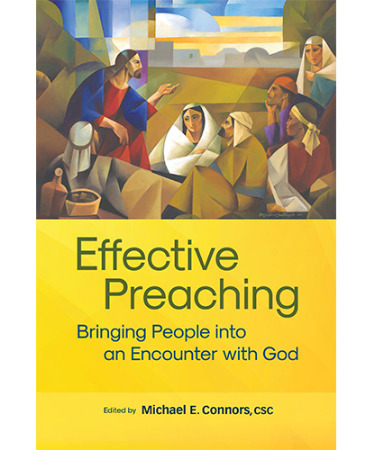 Effective Preaching: Bringing People into an Encounter with God is a practical collection of essays, featuring leading preachers, homilists and homily instructors. Compiled by Michael E. Connors, CSC, the Director of the John Marten Program in Homiletics and Liturgics at the University of Notre Dame, this imaginative book focuses entirely on the practical side of Catholic preaching. It will provide imaginative, hands-on, tested advice to help homilists develop preaching effectiveness, using techniques that will turn satisfactory preaching into exceptional preaching. This practical resource will be essential for priests, permanent deacons, seminarians in homiletics classes; retreat leaders, RCIA catechists; all who preach.